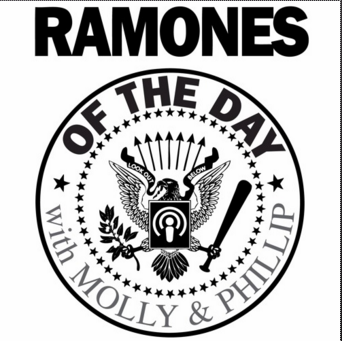 Molly Ann Hale | I’m Discussing Every Ramones Song… Ever. Home>Current Projects >I’m Discussing Every Ramones Song… Ever. I’m Discussing Every Ramones Song… Ever. I love the Ramones. So Phillip Mottaz and I are discussing every Ramones song from “53 and 3rd” to the word “Zero”. Join us on this epic adventure where we go deep into the Ramones catalogue to better understand things like; What makes a Ramones song? Why is everyone hating on the Phil Spectre album? What’s more important, the Ramones image or their music? Will Joey ever get the girl? Discover the answers with us on Ramones of the Day. You can find us on iTunes and Soundcloud. And if you like what we’re doing, give us a like, subscribe, and leave us a review!